The Australian Outback is a vast expanse of land located in the remote sections of Australia. Covering an area of 6.5 million square kilometers (about 2.5 million miles), with less than 60,000 inhabitants, travelers will need to choose specific destinations of the Australian Outback for their adventure, as seeing it all is not possible. 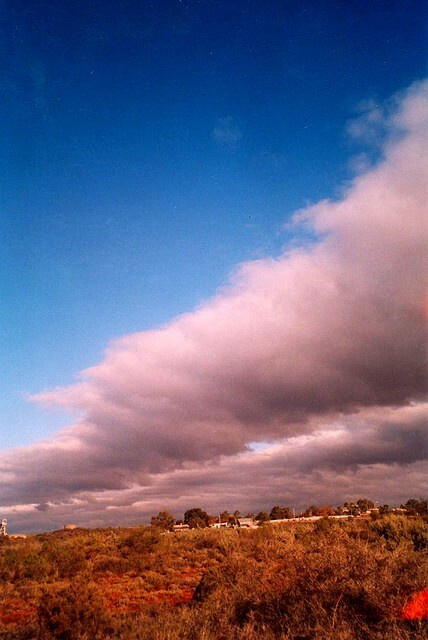 The Australian Outback is spread over the north, west and east of Australia. Learning about the indigenous cultures, enjoying a campfire and exploring the wildlife are just some of the unique experiences travelers can enjoy on their rugged adventure. Wilderness enthusiasts will fall in love with the Outback. Begin your journey at the heart of the real Australian Outback – at Cunnamulla, in the eastern part of Australia. You can enjoy local experiences such as a cruise on the Warrego River at sunset, hiking up the sand dunes, soothing those aching bones at the Artesian Spa and experiencing life on a real sheep and cattle property. Your Australian Outback adventure has officially begun! 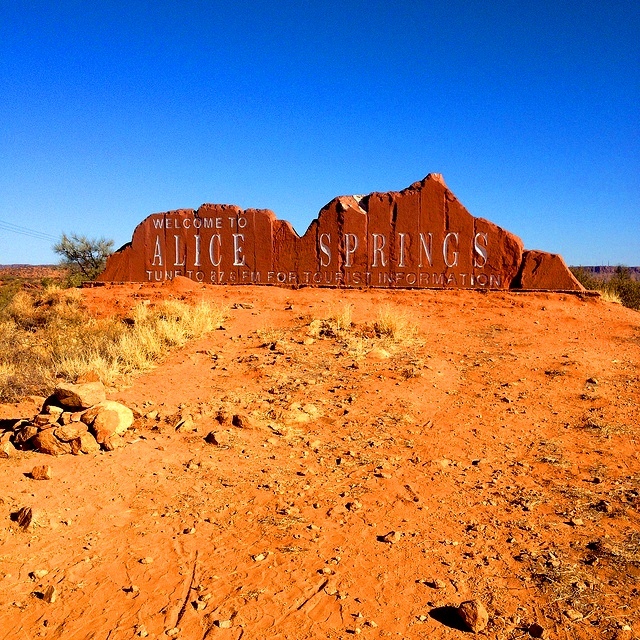 One of the most well known towns in the Australian Outback is Alice Springs. It is surrounded by striking desert landscapes, deeply cut gorges and isolated Aboriginal communities. The Arrernte Aboriginal people have been living in the surrounding area for more than 30,000 years. The area around the town was first explored in the early 1860s by a Scottish explorer and earnest settlement began about ten years later. Some of the main attractions in Alice Springs are the Old Timer’s Museum, The Olive Pink Botanical Garden and off-beat special events such as the Beanie Festival, the Todd River Race and the Camel Cup. Alice Springs is also the gateway to one of Australia’s biggest attractions: Uluru, also known as Ayers Rock. The huge red-hued sandstone formation is a monolith that is left over from a long eroded mountain chain and has been a sacred place for local indigenous people for thousands of years. 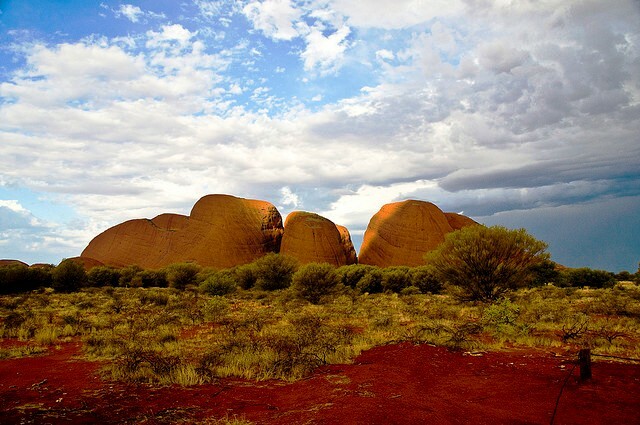 Today, the UNESCO World Heritage Site is located inside a protected area, the Uluru-Kata Tjuta National Park whereas all accommodations are located outside of the park. Visitors love to climb Uluru, and the 800 metre (1/2 mile) ascent is steep and aided by a chain handhold. 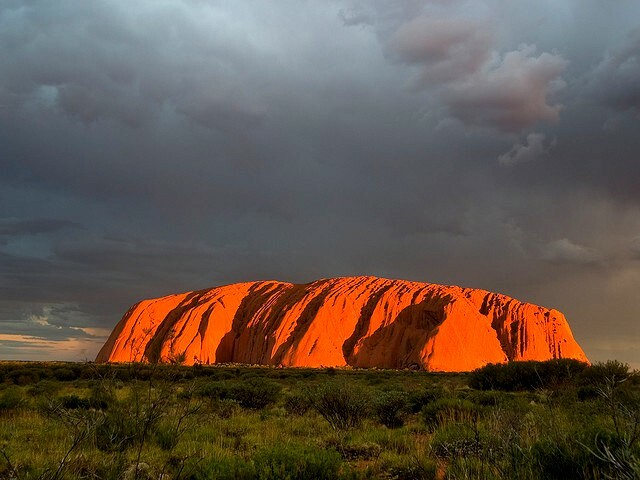 As the local Anangu people ascribe great spiritual meaning to this rock they refrain from climbing it and prefer that visitors do not climb it either. Close to Uluru is another interesting geological formation: Kata Tjuta, also known as Mount Olga, is a collection of 36 domed mountains that is mostly composed of compacted sedimentary rock and boulders. The highest peak towers 546 meters (about 1790 feet) above the surrounding plain. The giant sacred rocks are also part of the Uluru-Kata Tjuta National Park and are associated with many Aboriginal legends and myths. 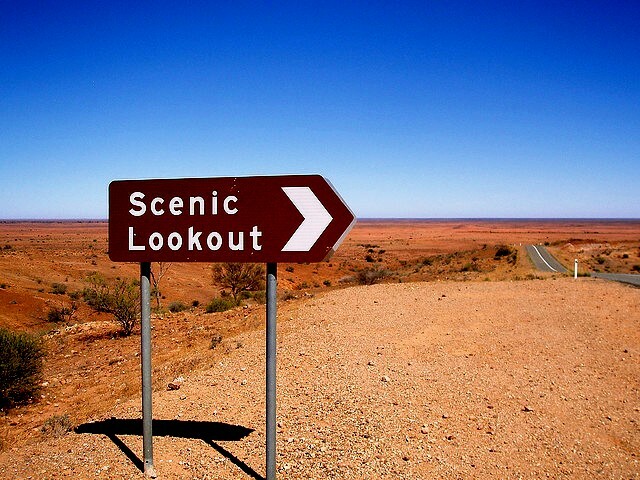 It’s time to drive to the “Capital of the Outback” , known as the “Oasis of the West” – Broken Hill. Located 1100km west of Sydney, Broken Hill was made famous by Hollywood films like Mad Max and Priscilla Queen of the Desert. Mine tours, colorful parks, garden displays and sheep farms are some of the things you can see here. If you are on the Ghan and Indian Pacific luxury trains, then Broken Hill is one is one of the stops along the route. Located just south east of the town, the Kinchega National Park is a worth exploring. One of the unique features of this little town are the unusual street names, named after the minerals found in the region like Kaolin, Gypsum, Bromide, Crystal, Oxide, Silver, Argent, Chloride, Iodide, Sulphide, Cobalt, Mica, Mercury, to name a few. From one Hollywood hotspot to another, Silverton is located 25 km northwest of Broken Hill, once home to miners, today is a hub for Hollywood location scouts. From movies to commercials, artists and entire casts have descended upon this arid Australian Outback and more than 140 commercials and films have been shot here. While in Silverton, there is so much of Hollywood history for you to see and experience. 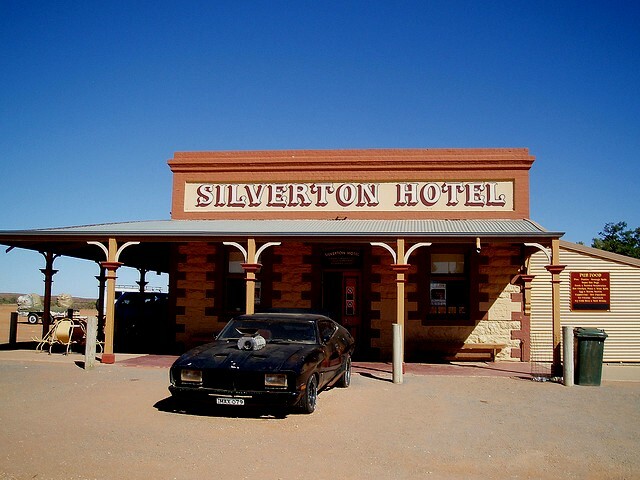 Begin your tour at the iconic Silverton Hotel with film memorabilia for a little ride back in time and visit the Mad Max Museum – a treat to watch replicas of cars, bikes, buggies and more. Much of the town has disappeared or fell in ruins and only about 50 people live there today. The Silverton Gaol as well as the Peter Browne Gallery and the John Dynan Gallery are also interesting destinations in Silverton. A couple of minutes drive from Silverton is the Mundi Mundi Plains –the plains of the outback stretch infinitely in front of your eyes from this location, leaving you in awe of Mother Nature. Drive over the rise, stop and be prepared to be amazed as you will be able to see the curvature of the earth. Located 10 minutes from here is the Umberumberka Reservoir, an ideal place to soak your feet in its shallow waters and enjoy a relaxed picnic before you continue your Australian adventure. Another interesting place to visit is the Kimberley region in Western Australia with its steep ancient mountains and limestone and sandstone gorges. It is home to one of the greatest wilderness areas, with a population of only 30,000 people. 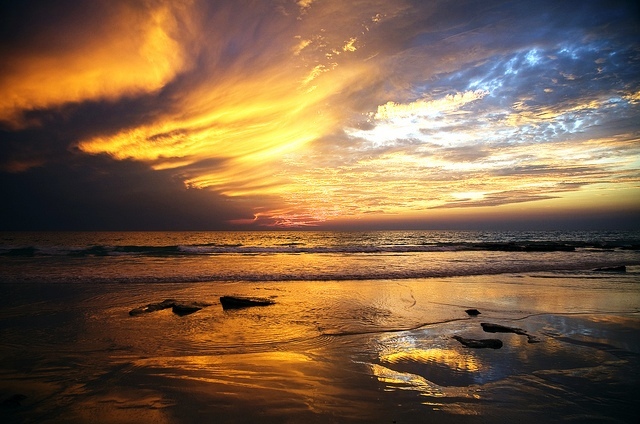 Visit the striking town of Broome, known as the “Pearl of Kimberley”. Cable Beach is one of the most famous hangouts in Broome, a town where you can enjoy sunset camel rides, embark on a pearl farm tour, and visit the dinosaur foot prints preserved at Gantheaume Point. 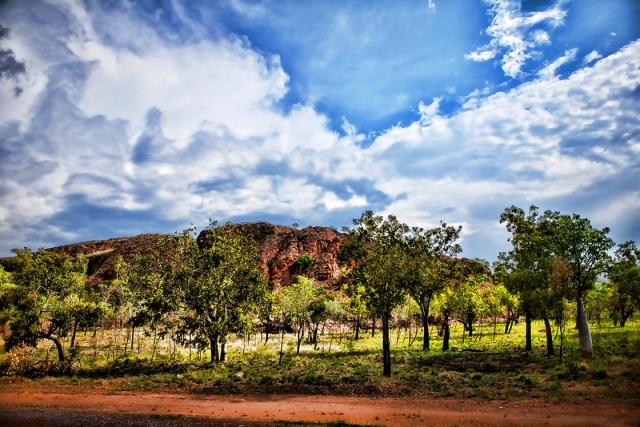 Discover the small town of Kununurra and the nearby Purnululu National Park, another World Heritage Site. Travelers can also choose to trek into the Purnululu’s Piccaninny Gorge, admire the red rock of the Cockburn Ranges and discover the Aboriginal rock art at the Drysdale River National Park. There is so much to the Australian Outback that words and space fall short. This vast, remote and mysterious place provides for a truly awe-inspiring travel experience. 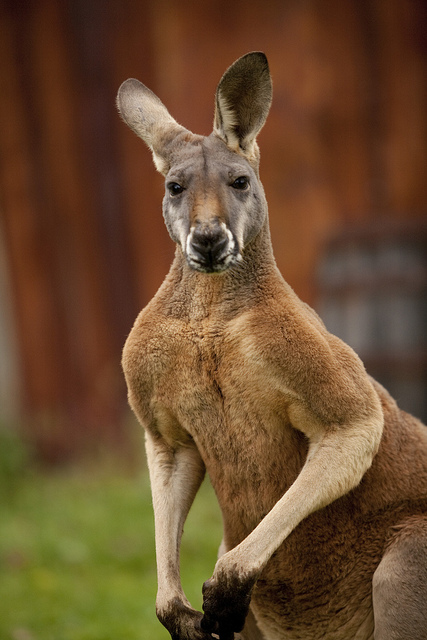 Expand your horizons and enjoy your tryst with the wild Australian Outback.